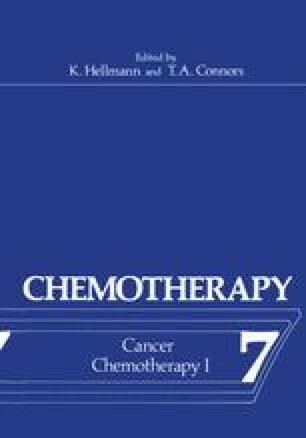 Many of the drugs commonly used in cancer chemotherapy are known to induce chromosome damage. Some of these are listed in Table 1. Over the past few years methods have been developed which permit the assay of induced mutation in somatic mammalian cells in vitroi 1. A number of known mutagens have been assayed in such systems,1 and a close correlation between lethal and mutagenic damage has been demonstrated2–4. A close relationship between chromosome damage and cell lethality has also been established,3,5 and hence a relationship between lethality, chromosome aberrations and mutation induction has been proposed6.